When it’s time for a window replacement project at your home in Louisville, you’ll want to choose windows that will grace your home with long-lasting beauty as well as protect it from the natural elements we experience in this part of Kentucky. Vinyl windows can be an excellent choice, as long as the manufacturer uses a high grade of vinyl for durability and takes care to include energy-efficient features. At Weber Windows, we take pride in helping homeowners choose the best replacement windows to meet their needs and aesthetic preferences while also providing a lasting value for the dollar. That’s why we install high-quality vinyl-frame windows that are made to order for each customer by ProVia®, an award-winning manufacturer with a reputation for producing beautiful vinyl windows with the most advanced energy-efficient features. ProVia has racked up numerous awards for its energy-saving products, including recognition in 2018 by the ENERGY STAR® program for producing the Most Efficient Windows. ProVia makes it easy for homeowners to choose a glass package that optimizes the energy-efficient performance of their vinyl windows for the climate where they live. As a result, homeowners can potentially recoup some of the cost of their replacement windows through lower heating and cooling bills. What’s more, ProVia’s exclusive ComfortTech™ system has been tested and certified to meet stringent industry standards for prevention of air and water infiltration. ProVia window frames are crafted from tough Sunshield® vinyl that will resist warping, chipping, peeling, cracking, pitting, and blistering. This means you can count on your vinyl replacement windows to retain their great looks for many years into the future. With four lines of vinyl windows to choose from, you’ll enjoy a generous selection of decorative options, including a variety of colors and even simulated woodgrain texturing for the interior. For lovers of authentic wood windows, the stunning Aeris™ line allows homeowners to enjoy the natural beauty of interior frames crafted from real oak, maple, or cherry wood and available in a wide variety of finishes. ProVia windows are also available in all the most popular styles, from double-hung and sliding windows to casement and bay windows, as well as specialty shapes. When you partner with Weber Windows for your window replacement project, you’ll receive expert installation by our highly trained and experienced professionals. 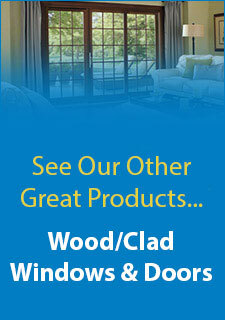 This means you can rest assured that your windows will be properly installed and deliver all the advertised benefits. Plus, no matter which ProVia vinyl windows you select, they’ll be backed by exceptional product and installation warranties. To learn more about the beautiful ProVia vinyl windows available from Weber Windows, contact us today. We’ll also be happy to schedule a free consultation at our Louisville showroom or your home in the surrounding area.